When your furnace starts acting up, a repair might only be a short-term bandage for a bigger problem. Furnace replacement makes a smart investment because it leads to lower utility bills as well as better comfort and air quality throughout the home. Our technicians will give you helpful straight-talk about whether you should repair or replace your aging furnace. Call 847-729-0114 for a free furnace replacement estimate or to schedule service from Glenbrook Heating & Air Conditioning, anywhere in the Glenview, Illinois area. When repairs are not enough to help a sputtering, inefficient, or broken down furnace, it’s time to explore your options for replacing it with a modern upgrade. Our HVAC experts can diagnose the issues, recommend repair or replacement, and help you weigh the options. Inconsistent heating. 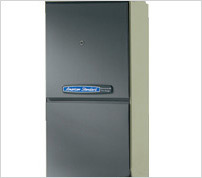 Cold rooms or overheated areas are some of the most noticeable signs that your furnace is failing. Pilot light problems. If your pilot light is burning too yellow-orange or it keeps going out entirely, this is a very dangerous carbon monoxide risk and also a sign that the furnace itself is breaking down. Increasing utility bills. Spikes in your winter heating bills may indicate that the equipment is struggling. It will only keep burning more and more fuel while doing a sub-par job of heating. More than 15 years old. Some furnaces last 20 years or longer, but at 15 years you need to be prepared that increasing repairs or a sudden breakdown are on the horizon. A money pit for repairs. Every winter you have to make multiple service calls for noisy knocking, foul odor in the air, the pilot light blowing out, or the furnace equipment itself simply breaking down. Why not replace the furnace and spend your heating season in comfort? When we install a replacement furnace for our customers, we do everything possible to make sure you get the best long-term performance out of your new heating system. We calculate the right size of furnace for your home and heating needs, which contributes to more consistent comfort and lower utility bills. Installation quality matters, too, because a high-quality install can help lead to better performance and fewer repairs over the life of the furnace. We install American Standard furnaces, with many options for price points and heating capacity. These are top of the line, energy-efficient furnaces and our experience with furnace replacement gives you the best experience possible. Why Call Glenbrook Heating & Air for Furnace Replacement in Glenview, IL? Our Glenview HVAC company first began in a small garage on the Glenview Naval Air Station in 1969 by Fred Yurk. Glenvbrook Heating & Air Conditioning is currently owned and operated by Brad Yurk, a second-generation HVAC contractor. We’re proud to be the North Shore’s HVAC contractor of choice for more than 50 years and always strive to provide the area’s top heating and cooling services. Read our 200 customer testimonials to learn more about our dedication to quality. To discuss your Glenview furnace replacement options or to schedule a furnace repair and diagnostics visit with our heating experts, call 847-729-0114 or contact us online now. Glenbrook Heating & Air Conditioning serves Glenview, Illinois and the entire North Shore area.